Over the weekend of October 25 2014 something pretty amazing happened in the middle of the Atlantic. 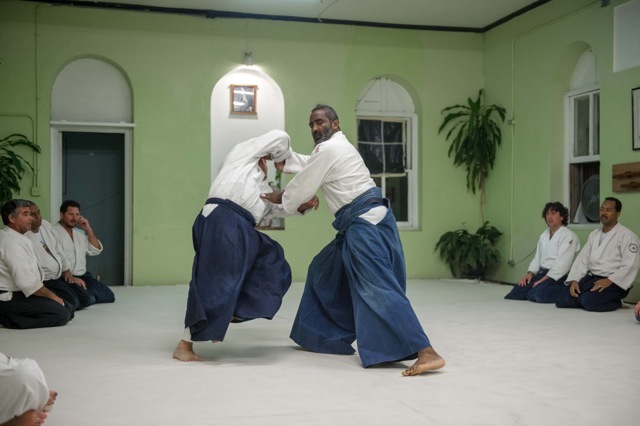 Bermuda Aikikai, headed by Sensei Collins Smith, 6th dan, has been around now for 31 years. Last year for the 30th anniversary we had a suitably celebratory seminar lead by Shihan Richard Stickles. This year was different, this year was “in-house” with almost all of the instructors being direct students of Sensei Smith. We are talking about upwards of 10 instructors all coming from this tiny little island dojo so you know something great has been happening there. A little history: Sensei Collins Smith started his martial arts career in his teens. He was a world-class karate fighter and even went twice to the Karate world championships in Japan. Somewhere along the line he discovered Aikido and soon became a student of now Shihan Stickles. For years Sensei Smith studied in New Jersey with Sensei Stickles, in New York with Yamada Sensei, and out west with Chiba Sensei. He returned to Bermuda in 1983 to open his dojo where with unwavering loyalty to his lineage and dedication to his students he has quietly been teaching Aikido ever since. 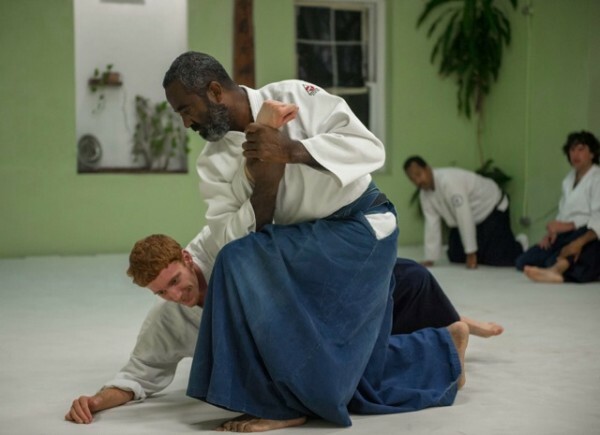 Bermuda is a dot in the middle of the ocean and Bermuda Aikikai was never going to be a big commercial success, and yet Sensei Smith juggled work and family and the dojo and never gave up, for him Aikido was, and still is, a gift to be received and passed on. He brought the biggest names in Aikido to his students and always supported his students when they wanted to go out and see the larger world. His philosophy was to teach the foundations and let people’s personalities take it from there, something I think he learned from Yamada Sensei and something that, 31 years later, was wonderfully evident in the diversity of aikido we saw when 10 of his students, all now instructor level, brought their styles and in some cases their own students to the mat. The Aikido that started on that little island has spread. I now have a dojo in Nova Scotia, Canada (Lunenburg Aikikai), Anthea Pascaras has a dojo in London England (Notting Hill Aikikai), and there are two other dojos headed by Graham Fraser and Evie Pond in Nova Scotia and New Brunswick respectively (Mount Saint Vincent Aikikai and Aikido of Central New Brunswick) both under Sensei Smith’s umbrella. The little ripples that started in Bermuda 31 years ago have now crossed the ocean and spread to other lands. Back to the seminar: 10 instructors all affiliated with Bermuda Aikikai, something like 300 years of collective experience, 10 different styles all unique and yet somehow still linked together, 5 affiliated dojos, a whole lot of fantastic aikido AND a trip on Sensei’s boat. I would say that makes for a pretty fantastic 31st anniversary party and a tremendous measure of one man’s work. On a serious note I have called Sensei Smith my friend and teacher for nearly 25 years and my debt to him can only be repaid by following his example. I now have my own dojo in the equally (compared to Bermuda) isolated eastern edge of Canada. 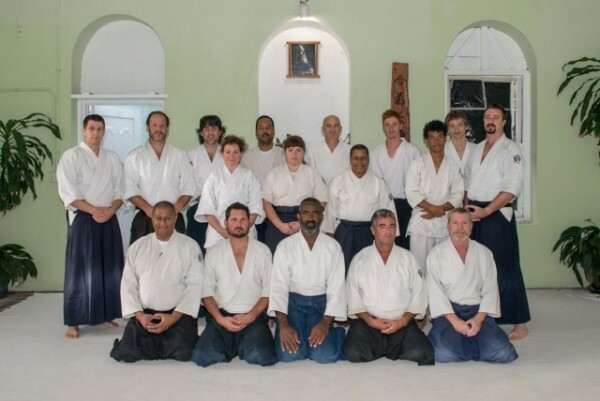 Like Bermuda Aikikai we will never be a big dojo, but we are close knit and we are growing and if there is one thing that the seminar in Bermuda last month taught me it is that great aikido can come out of the tiniest places when your heart is in the right place and you have loyalty and dedication.